This was a good month for favorites - I tried several new things that I quickly fell in love with. 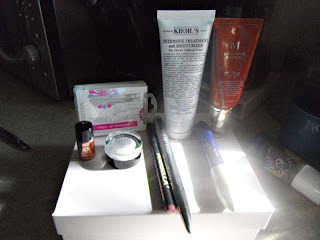 There will be actual reviews of several of them up in the near future, but in the meantime, here are the beauty items I was loving for September! Marbella was kind enough to send me this Permanent Lipliner Pen in spice to try. 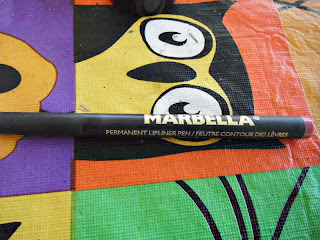 I'm not really a lip liner person, so I didn't expect much...but I was really impressed! This is truly a lip stain...and an awesome one. I rub my lips together and lick them a lot, so nothing lasts on me - NOTHING. 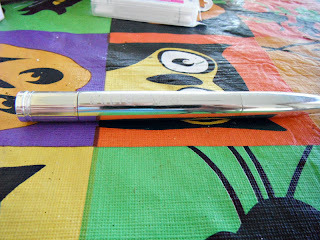 I line and fill in my lips with this pen, and it lasts all day long. Well beyond my 8 hour shift. I love it under a clear gloss or balm. 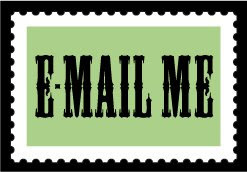 I plan to pick up a few more of these in different colors! My hands and feet get so dry, especially in the winter. 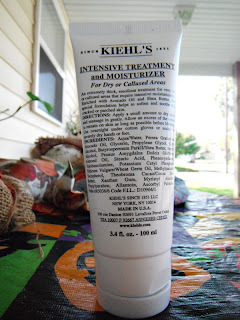 This Intensive Treatment and Moisturizer by Kiehl's is awesome and rich and keeps them soft and smooth. I received this as a reward for a product study from L'Oreal, and I've become obsessed with it. I have only used a few Kiehl's product, but each one I use makes me want to try more. I have used several BB creams and in general, I love them. I find that the texture and finish suit me better than foundation, and I love having everything in one product...too many layers feel heavy to me. 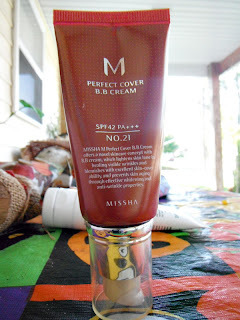 Of all of the BB creams I have tried, I love m perfect cover by Missha the best! The coverage is amazing, it covers any blemishes and the dark circles under my eyes with no problem. It's not dewy nor dry, and I've received numerous comments on how soft and pretty my skin looks while wearing it. I also like the powdery scent and the SPF 42. I had been trying a new BB cream every time I ran out and enjoying it, but this one is likely to become my go-to. I picked these up on a whim to use up the last of my Birchbox points, and I really love them! 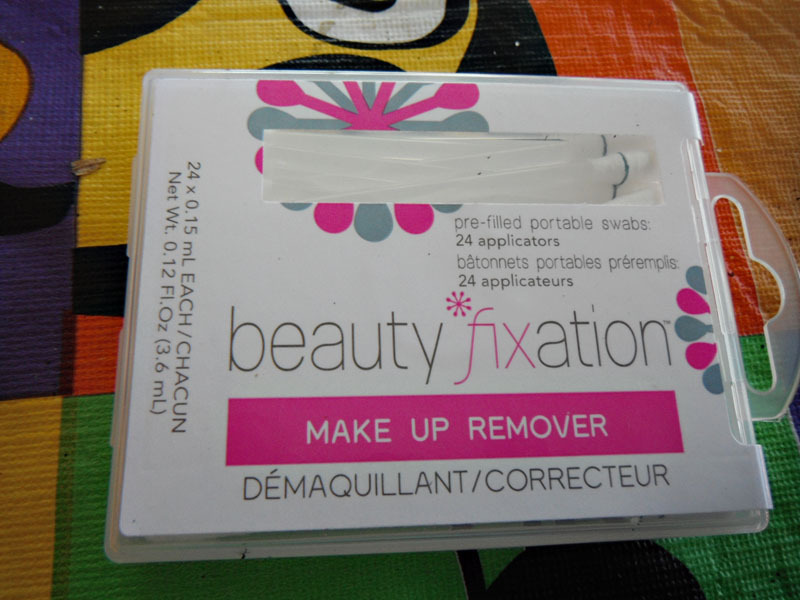 They are basically qtips filled with makeup remover that is dispensed when you snap the tip.They're great for correcting makeup mistakes and they take off liquid liner with no problem. Love to keep these in my bag, super handy. This is the first two step mascara I've ever tried, and I've fallen in love with it! One end is a lash conditioner/primer infused with serum. It's white and not as goopy as I feared. It really does seem to soften my lashes! 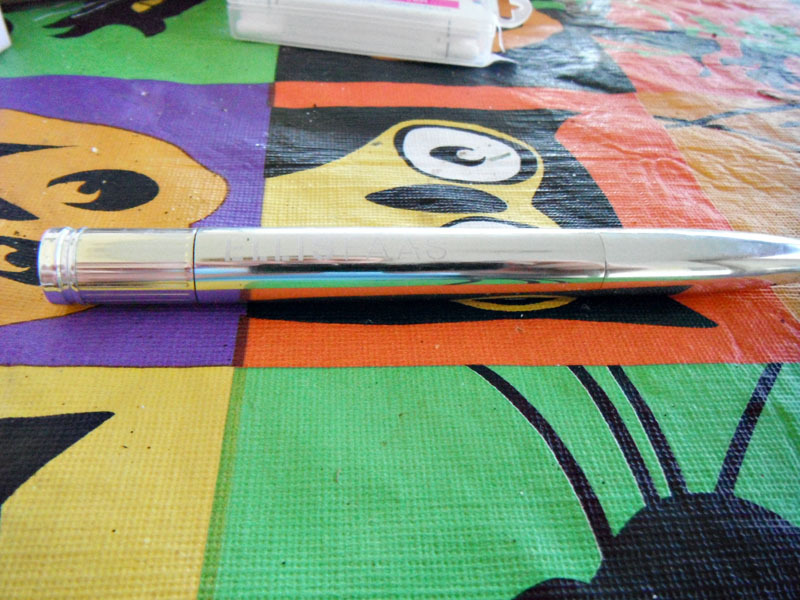 The mascara itself is really nice...it has a great brush, it separates, defines, and thickens as well as lengthens. I love that it leaves my lashes soft and it can be natural or dramatic. 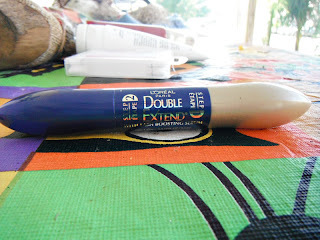 This is the best drugstore mascara I've tried. I got this Glazed Lips by Ellis Faas in last month's Glossybox. I wasn't too sure about the color - Sheer Rusty Orange, but I ended up being super impressed with it. I love the finish - it's glossy, but in a different way. It makes your lips look more wet than goopy...in a good way! I love the feel and the buildable color. Never would have dreamed I'd be able to wear an orange. 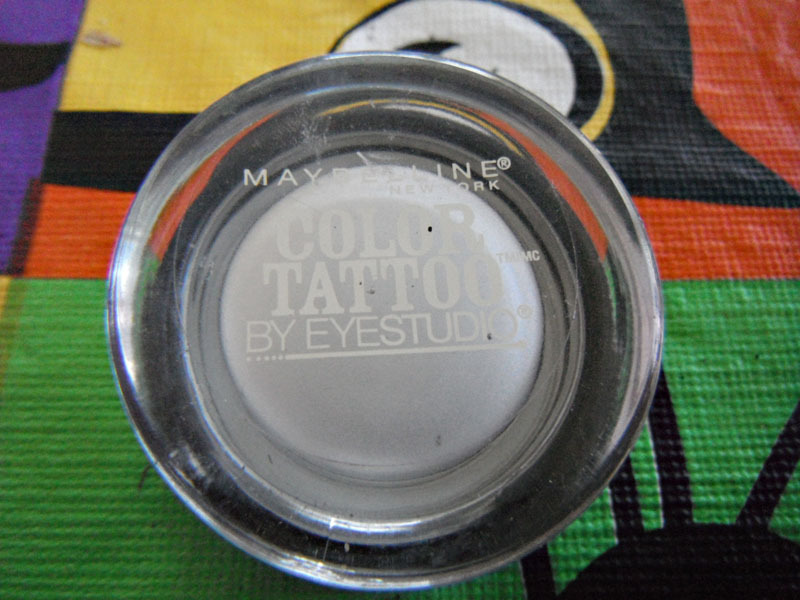 I have a couple of the Color Tattoos by Maybelline, and they really are impressively longlasting. I just never end up actually wearing cream shadows like I think I would. I have found, though, that this makes an excellent eyeshadow base! It helps the colors pop and it lasts all day long. Love it. And, my individual picture of the last item seems to have disappeared, but it's the loose pearl pigment by NYX...super cheap and good quality. I love the rust .color I have for fall, and I want to get some more of them. I love those beauty fixation q tips too they are incredibly handy! 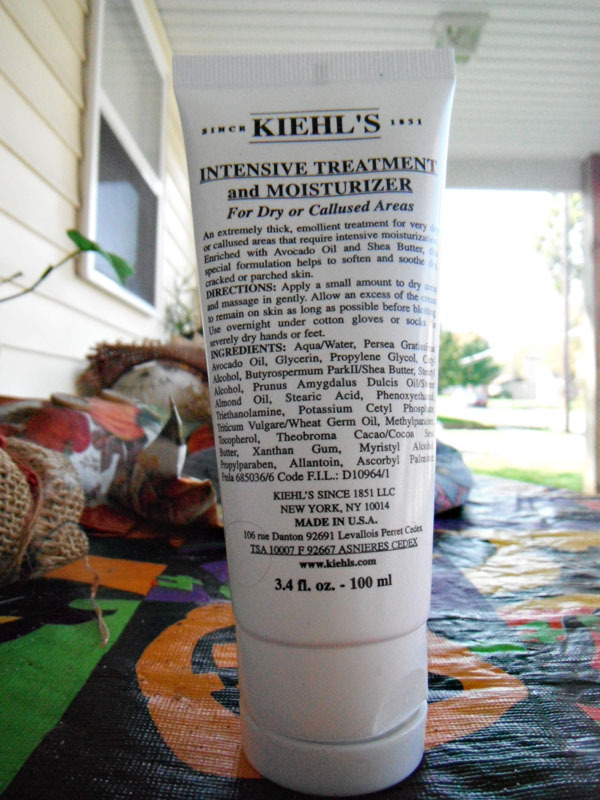 I think I need more Kiehls in my life too I've been using the bf's face wash and I really like it! LOVE the Kiehl's! I had the Abyssine cream and I loved it so much.